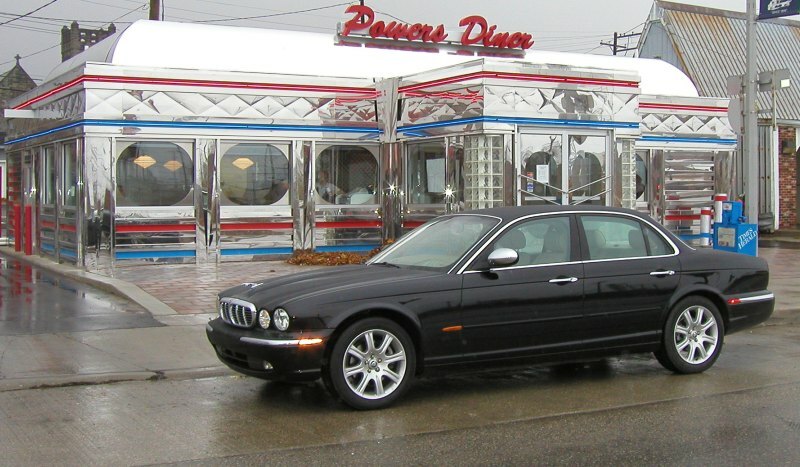 About 10 years ago Jaguar was copping a bagging for the shape of its new XJ sedan. Having driven the car extensively through northern Michigan, I have to say it was extremely competent, performed well, was practical and comfortable, but yes, it did look a bit too familiar. Never mind that it helped Jaguar maintain a strong position in the J.D. Power Initial Quality Study in the USA - it was that good! Here we are a decade further on and the latest car to carry the XJ moniker couldn't be more different. Designed by the talented and effusive Scotsman, Ian Callum, this is a really different Jaguar - to look at. It still boasts a light aluminium structure, powerful and yet thrifty engines, and outstanding ride and handling - all qualities it shares with its predecessor! But, it does LOOK different. Callum has initiated what he calls a new 'design language' for Jaguar, and if early sales stats speak for confirmation, it's working. Jaguar XJ sales have literally taken off, so for all the fuddy-duddy anoraks that loved Jaguar's "classic" shape, they'll have to get used to the teenager Callum has produced. It's bringing new buyers to the breed, and that's great! My pick of the new brood is the outstanding 3.0L V6 diesel. It is fantastic, but so too is the B&W sound system, the interior, and its pin-sharp handling. The 'lightness' of the structure rendered by the alloy underpinnings is truly noticeable in the way the car responds. Test drive the equivalent Mercedes and BMW sedans, and the new XJ is a revelation in how big cars should handle. There is no doubt for me, that Jaguar has regained its Mojo.